I am a runner. It has taken me a long time to really say that and mean it. I used to duck around the label and dream of when I would actually confidently use it to refer to myself. Well, it has taken 8+ years of steady running, countless 10k races and 6 half marathons…but yeah, I’m a runner. Bananas are great before and after a run! One thing that I have struggled with more than anything with my running is figuring out what to eat before and after a run. My very favourite time to run is first thing in the morning. I have a lot less food problems first thing. I find that I can eat a small bowl of Shreddies, or ¾ cup of Greek yogurt with ¼ cup of granola and I am good to go. If it is really early, like pre 6am early, I can even have half a glass of orange juice and a banana and make it through my run. During my long runs (longer than 10km) I need to have water with me, and Jelly Belly Sport Beans. I love those things! They taste yummy (lemon/lime is my favourite) and if I have 2 beans every 4km I can keep going for just about ever. I wash them down with a swig of water and I stay happy and hydrated. After the run is where I seem to run into problems. If it is less than 10 km I am pretty good no matter what. A big glass of water and a banana and I am good to carry on with my day. Any further than that and things start to go downhill. And by downhill I mean lying on the floor, nauseous, exhausted, not even able to eat anything. I have tried over the years to figure out what to eat for me, that will help me to recover in the most efficient and healthy ways. Let me start by saying that I have read a lot of articles that suggest I prepare a grilled chicken and quinoa salad and stuff like that for post-run recovery food. I don’t know about you, but after a 16 km run, the last thing I have the energy to do is to start preparing food. I need sustenance now or that kitchen tile starts to look really comfy. 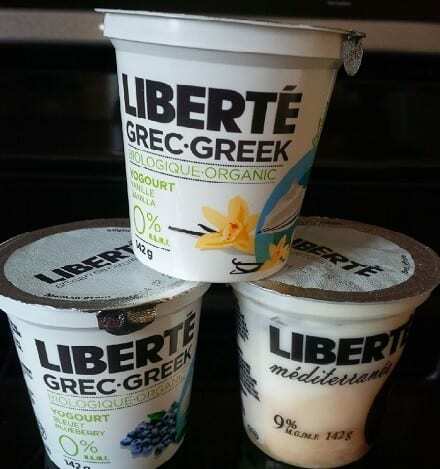 We love Greek yogurt at our house! The best drink for me post-run is chocolate milk. It tastes delicious and is nice and cold and full of all the good things that my body needs to get back into gear. I try to have some in the house when I am training. At the same time, I have two kids who assume all chocolate milk is solely for their enjoyment so it is hard to keep stocked for when I need it most. 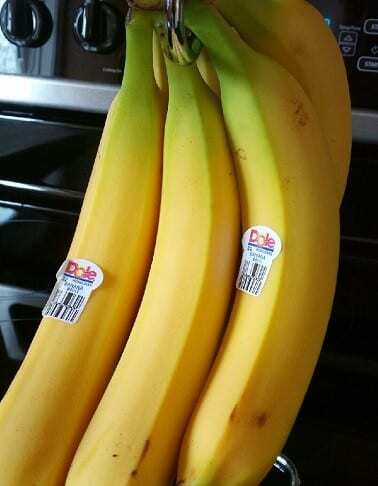 I also always try to have a banana, as it is super-fast and easy, no prep required, just peel and eat and get lots of great nutrients back into my blood stream. I am an active mother of two fabulous kids that make me smile every day. I love to cook old favourites and try out new recipes and never let my kids’ nut and egg allergy get in the way! I am forever dragging my husband all over town to try out the latest and greatest new spots to eat but for the most part I think he’s a willing participant. I would call myself a Foodie but then you would think I was pretentious, so I won't go there. I am an avid reader, pretty much anything I can get my hands on, anytime I can squeeze it in. (Yes that was me you saw reading while I was running on the treadmill at the gym). I love to write and share all my great finds whenever I can! Let’s eat! I am not a runner. I am not (currently) a super exerciser. I have much to learn as I have not been dedicated for many years and things certainly do change. I wonder about sugars in food, especially post-long run. 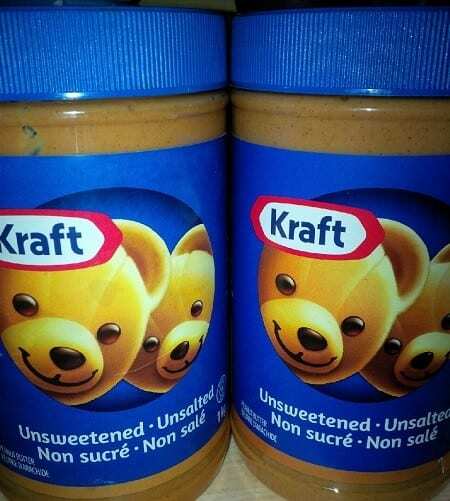 Is it beneficial to have a big quick shot of sugar (chocolate milk or peanut butter)? I am curious what the best intake would be. Protein for sure, right? So much to learn! Some good info here for me-the newer or resurging runner! I do love chocolate milk once in awhile and and I want to know MORE about these magic beans! I liked this post. I always find eating before a run hard, because if I do eat before a run, I usually wind up feeling sick during the run or like Im about to upchuck. Ive found after running I can eat bananas or bread, but thats about it. One time, I made the mistake of eating icecream before I ran… that was gross. Laurel – The beans really are magic! They are just like jelly beans but made of ingredients that hydrate and energize you. You can buy them at The Running Room. Bananas are a lifesaver for me, both before and after running. I have never been a fan of chocolate milk, but other than that, our lists looks pretty similar. I have never heard of sport jelly beans. Where do purchase them? I also like chocolate milk as a post-run drink! Thanks for the tips, I have tried the regular Jelly Belly beans but not the sport ones!